It seems traditional to use the end of the year as an opportunity to reflect on our accomplishments and challenges of the past year. As I have reviewed our records I’m struck by how much Shuswap Theatre is truly on the move – a dynamic and exciting organization to be involved with. 2017 began with our first mainstage play, Stereotype High, directed by Julia Body and with a mostly teenaged cast. We had not done this before as part of our regular season but I believe it was a good choice. It went over well and has ignited the interest of local youth in our theatre. This paid off in spades with our last show Romeo and Juliet, a big success by any standards. We took the financial risk of hiring a professional director, Liz Hobbs from Edmonton who has lots of Shakespeare experience and who loves working with teens (who made up more than half the cast). As a cast member myself I was amazed at the standard of performance she managed to get out of all of us. And Liz herself loved working with us. We also hired Derek Meetz, a stage combat choreographer to make sure the fighting scenes were both safe and effective. In spite of these additional expenses, the show was a big success, both artistically and financially. In our ongoing efforts to build the capacity of our company, we asked Liz, while she was here, to offer some workshops – a pair of Acting Shakespeare workshops just before auditions and a five week Acting/Directing workshop. Both were well attended and much appreciated. We’ll see the fruits, I’m sure, in the quality of upcoming productions. Unfortunately we had to cancel our spring show as the casting proved too difficult. Our thanks to James Bowlby for all his preparations for After You (while battling health issues) and to Ann Skelhorne and Kaitlan Hunter for stepping in to remount that wonderful one woman show, Jewel which provided an abbreviated spring show run, as well as a worthy entry into the OZone festival. The highlight of the spring was the OZone Drama Festival which we hosted for the first time since 2010. Audiences were treated to eight plays from the Okanagan Zone of Theatre BC in eight days. It was a fantastic opportunity to enjoy a week of excellent theatre and to learn a great deal from adjudicator James Fagan Tait about how to do theatre well. Attendance was excellent and we made a significant profit (not usual for OZone). 2017 marked our third annual mini fringe type I festival – seven short performances over three days by artists from both here and away, interspersed with drinks and fine music at the Edge Club on the patio. Attendance was down a bit from last year as tourism was down due to the forest fires, but the festival was very much a success. A big thank you to Jaci Metivier who has capably produced the festival for all three years. Jaci is stepping down from that post so stay tuned for what’s coming. Arts groups in the Shuswap had the opportunity to participate in the ArtsVest program this year. ArtsVest is a non-profit organization of business people who support the arts. Joyce Henderson and Jaci Metivier took the lead, receiving training in how to build relationships with the business community. The incentive to participate was the chance to receive matching grants for any new sponsorship money we received (i.e. new sponsors or old sponsors who increased their level). We expect this will result in an additional $5,000 or more when the cheques are cut this spring. A big thank you to our sponsors and to Joyce and Jaci for making this happen. In keeping with our policy of constant improvement, we have, with help from some grants, invested in a number of technical improvements. Aisle lighting will be installed for safety in the house before our next show. Both it and the house lights will be wired into the dimmer packs so they can be controlled from the lighting console, a big improvement. Thanks to Doug Kyle for building the valences to house the LED strips. 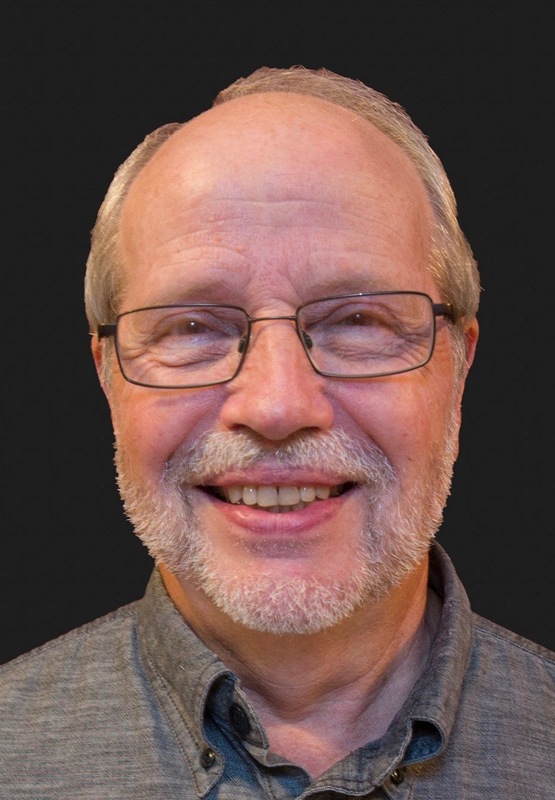 Speaking of technical matters, we’re very pleased that Jim Clayton has agreed to serve as our House Technical Director, responsible for the maintenance and overall operation of our sound and lighting equipment. Our major fund raising project this year (and next) is to replace all the fixed seating in our theatre. The old seats are all Salmar hand me downs and all are at least 40 years old, sometimes uncomfortable and requiring constant maintenance. At year end we are about half way to our goal of $35,000 though this figure might climb a bit as we intend also to replace the carpet before installing new seats. If you haven’t bought your seat yet ($250) now would be a good time. Donations of any size are welcome and if you buy one or more seats your names will appear on a plaque in the lobby. Seniors Theatre, under the leadership of Peter Blacklock, continues to fill an important need for creativity, fun and social interaction. Laughing Gas Improv continues to gather and play twice a month, improving skills with an eye toward resuming public performances. We have initiated a new, compulsory training program for our Front of House volunteers focusing on safety and emergency procedures as well as providing hospitality. Thanks to Liz Kingdon for developing this and taking on the new Front of House Coordinator position. The Artistic Committee has been going gangbusters, offering more proactive artistic leadership and advance planning. Thanks to Astrid Varnes, Julia Body and Frank Manning, as well as to former member Aidan Sparks, for this excellent work. We have greatly expanded our social media presence through Facebook and Instagram by entering into a contract with ShuswapEvent.com. This has borne fruit very quickly with a visible increase in younger people in our audiences and in our productions. We now have over a thousand page likes and our total reach some weeks is over 4,000 people. Impressive! We offered a kids’ theatre event as part of Shuswap Literacy’s Unplug and Play event last January and will be doing so again this year. Thanks to Ann Skelhorne and her team for this. Finally, I’d like to express my appreciation to those currently serving on our Board of Directors: Hamilton McClymont (VP), Sherry Bowlby (Treasurer), Kathy Moore (Secretary), Monica Gignac, Peter Molnar, Tracy Nash, Bea Kirkwood-Hackett and Paula Shields. I also want to express a huge thank you to Joyce Henderson who did not stand for election this year though she is still a very active member. She has been a dynamo of energy, enthusiasm and initiative for a number of years as President and board member. Though she’s humble about it, Shuswap Theatre owes her a great deal. There are many more people who deserve thanks but the list would go on and on. I’m personally grateful for all of you, including our faithful patrons. This report has ended up being longer than I intended, but looking at the impressive list above, the length seems to be warranted. I’m continually impressed with this dynamic theatre company that is just not prepared to stand still. I can’t wait to see what 2018 has in store for us!